Krazy Kat! Popeye! Flash Gordon! Beetle Bailey! Blondie! Prince Valiant! Hagar the Horrible! Barney Google and Snuffy Smith! Baby Blues! Mutt & Jeff! Zits! Juliet Jones! Buz Sawyer! Steve Canyon! Bizarro! Hi & Lois! Maggie & Jiggs! Johnny Hazard! There are simply too many to list because King Features has had a more illustrious and long-lasting history than any newspaper syndicate, even as it continues to lead the way into the digital age and beyond. This book is a centennial birthday bash hosted by Dean Mullaney, Bruce Canwell, and Brian Walker, with contributions by Brendan Burford, Lucy Shelton Caswell, Jared Gardner, Ron Goulart, Jeffrey Lindenblatt, Carl Linich, Paul Tumey, and Germund von Wowern. More than just comics, it’s a celebration of the profound impact that King Features has had on popular culture! 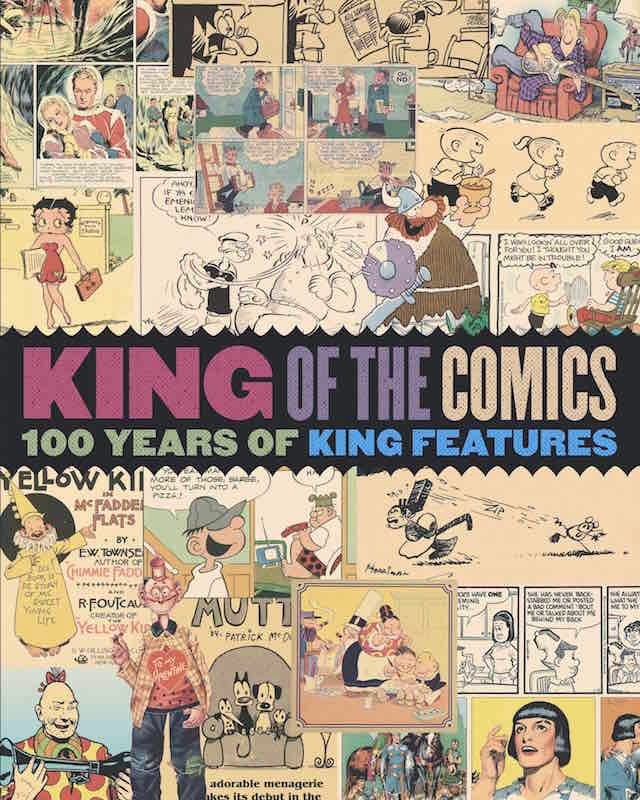 The book is from IDL Publishing, in the Library of American Comics series: beautifully designed and produced, with an enormous number of reproduced strips, essays by editors, and an excellent index. This entry was posted on December 28, 2015 at 6:33 pm and is filed under Books, Linguistics in the comics. You can follow any responses to this entry through the RSS 2.0 feed. You can leave a response, or trackback from your own site. I get a daily comics feed from King Features, with: Zits, Bizarro, Rhymes With Orange, Zippy the Pinhead, Mother Goose and Grimm.